BCJ Controls is a solar technology company set up by ex-utility industrial electricians. Between them they have significant experience in electrical grid protection and switchboard building, as well as dealing with utilities on a day-to-day basis. When you have a large solar system connecting to the grid, the local power network generally requires special precautions to keep the grid safe. In these situations a ‘grid protection system’ is generally required; protection systems sit between the solar system and the electricity grid. 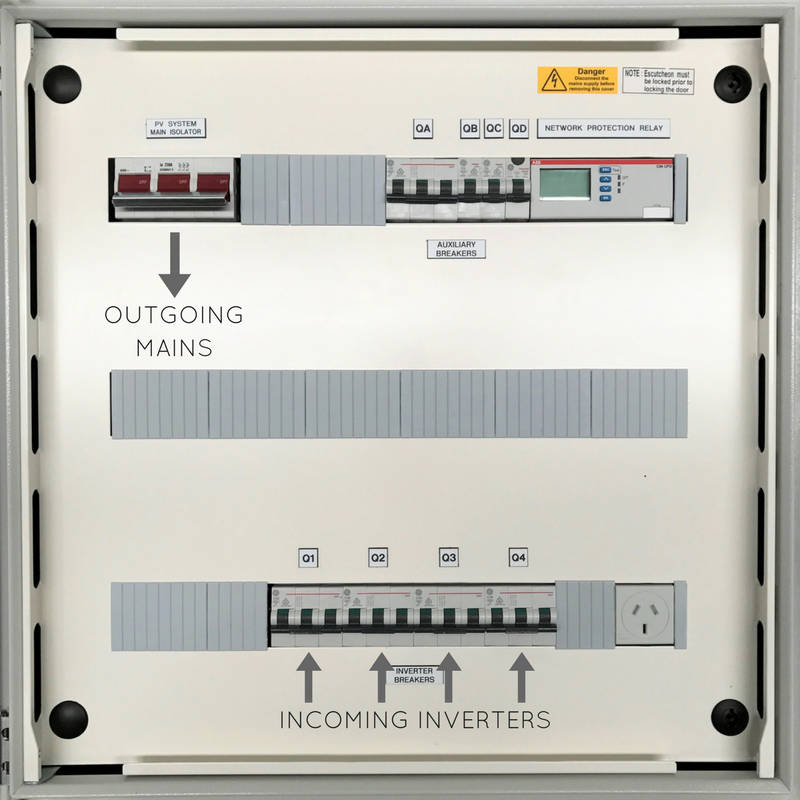 BCJ Controls helps solar installers navigate the connection process to get the system on-line. The company starts by giving the installer a design for the grid connection system for use in applying to the network company (also known as the DNSP). BCJ then guides the system designer/installer through the application process and provides drawings to submit. This includes information about the network protection relay or zero export device. Throughout the approval process BCJ works with the network utility to answer any questions about the grid connection. Once the grid application is approved, BCJ custom-builds the network protection unit for the project, which comes with everything the utility needs to get the installation over the line. Being sparkies themselves, BCJ makes it easy for the installer by having inverter connections inside the unit, so all that is required is plugging in the right cables. Lastly, BCJ works with the utility and installer to organise the testing and commissioning of the job to tick all the boxes and get the system powered up. BCJ’s focus is jobs between 30 kilowatts and 5 megawatts, and in addition to export control, they can also provide integrated monitoring and diagnostics (to assist in ongoing maintenance), reliable 3G communication, reactive power control and a number of other advanced features. BCJ Controls is able to assist installers who have questions about the grid connection process. They can be contacted on 02 9534 8465 and at www.bcjcontrols.com.au.